With Dubai being an extremely desirable country to visit, it’s no wonder how popular it’s becoming. With plenty on offer from architecture to golf. Surprising to some but there is something on offer for everyone – even the kids! Set on the Burj Khalifa Lake, the Dubai Fountain shoots water up to 500 feet, whilst choreographed to music. 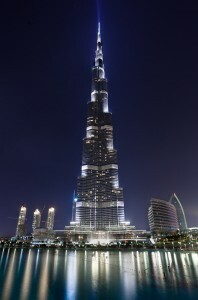 It is also rated the number one attraction out of 180 in Dubai on TripAdvisor. A very unique and memorable experience for children, as it’s a realistic educational environment where kids can learn about different professions and act them out. They get paid for their work in kidZos, which allows them to pay for goods and services in the city. Enjoy a traditional wooden boat ride in the more historic part of Dubai, where you can discover the textile souk, art galleries and much more. If you’re a fan of golf, then it’s well worth playing some holes at this championship golf course, which claims to have two of the city’s finest must-play courses. Dolphin Bay is one of the largest and impressive habitats in the whole world, offering a variety of dolphin experiences for different ages and swimming abilities. 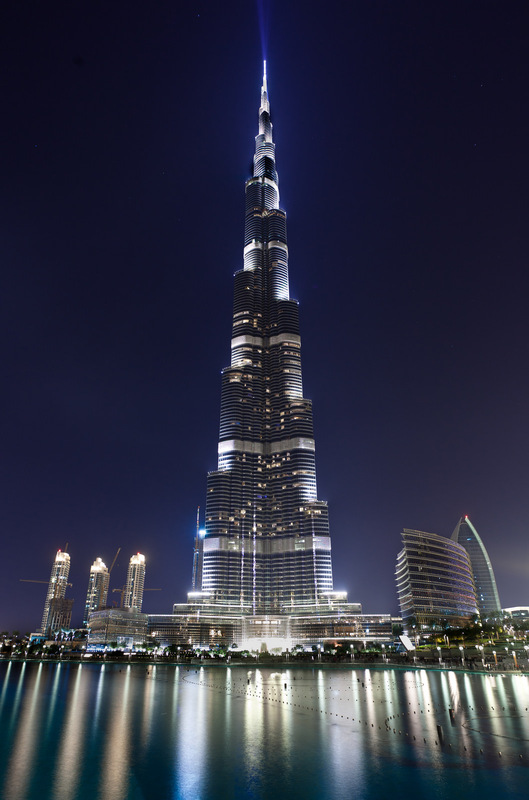 The Burj Experience includes the Burj Khalifa, which is the tallest building in the world and Downtown Dubai, which is regarded as an urban masterpiece! Ski Dubai is actually situated in the Dubai Mall of the Emirates and is the world’s third largest indoor ski slope and was actually the first ever ski resort to open in the Middle East. You maybe surprised to see a metro as an attraction but it’s actually rated fifth out of 180 on TripAdvisor with over 5,000 reviews! It’s also pretty much this easiest method of transport to get around the city in. If you’re a fan of beaches then this is a must, it even won a Travellers’ Choice Award this year! Offering clean sand and inviting warm water, it’s a great day out for the whole family. A riding centre located in the desert filled with dunes. Ideal for a great day out, plus it has a five star rating on trip advisor. Have you had the opportunity to visit any of these attractions in Dubai? If so then let us know on Twitter @JohnMasonIntl, even better share a pic!